Advent is a season observed in many Western Christian churches as a time of expectant waiting and preparation for the celebration of the Nativity of Jesus at Christmas. 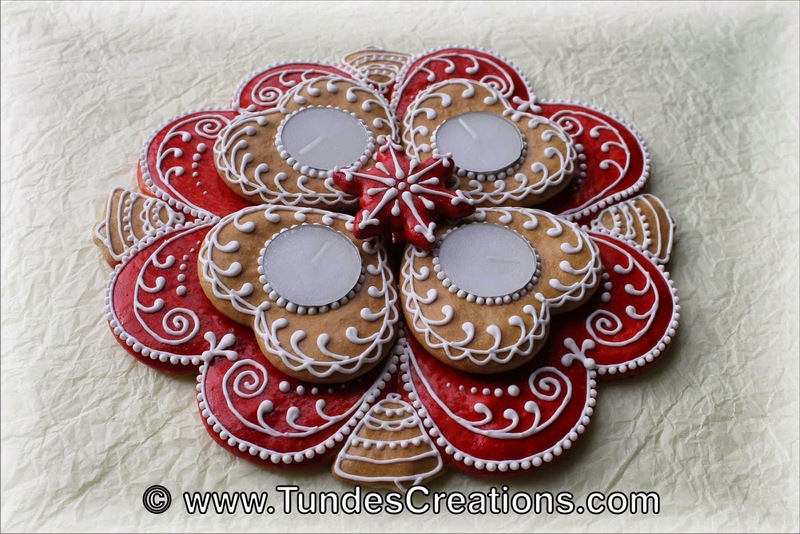 Advent starts on the fourth Sunday before December 25, which is the Sunday between November 27 and December 3 inclusive. 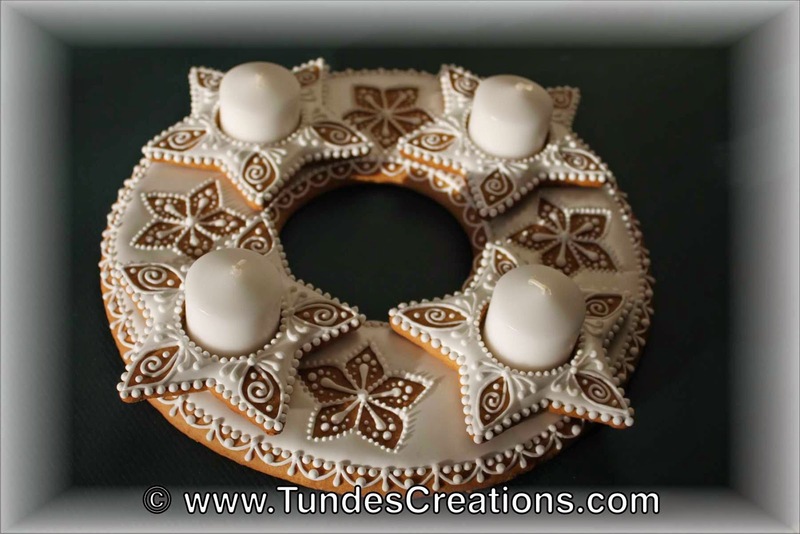 Here is one of my favorite gingerbread advent wreaths. It's all white and has four candles. We light a new candle each Sunday of Advent. 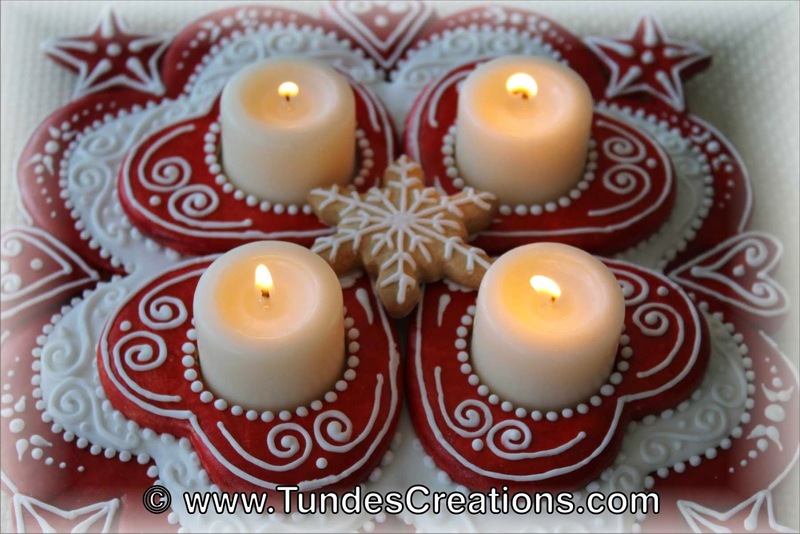 You can read more about the candles below. 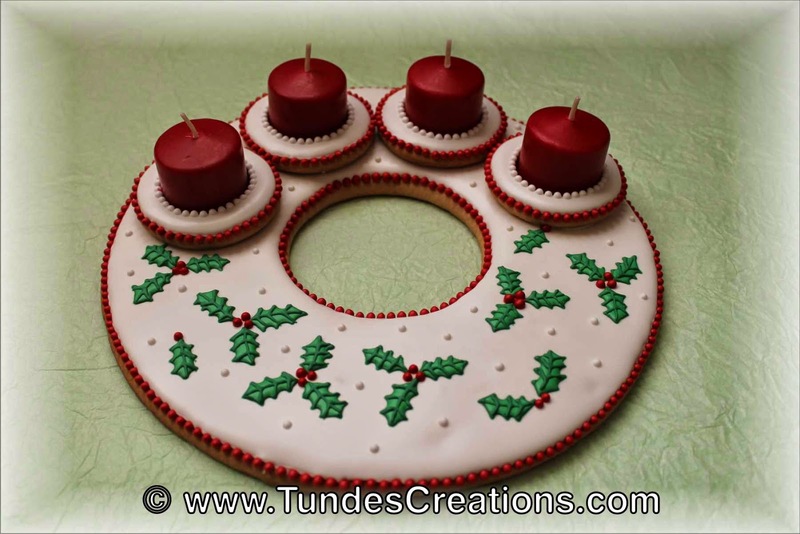 The keeping of an advent wreath is a common practice in homes or churches. The readings for the first Sunday in Advent relate to the old testament patriarchs who were Christ's ancestors, so some call the first advent candle that of hope. The readings for the second Sunday concern Christ's birth in a manger and other prophecies, so the candle may be called of Bethlehem, the way or of the prophets. The third Sunday, the readings relate to St. John the Baptist, and the rose candle may be called of joy or of the shepherds. The readings for the fourth Sunday relate to the annunciation of Christ's birth, so the candle may be known as the Angel's candle. This red and white piece is the very first I made. I also love natural colors. 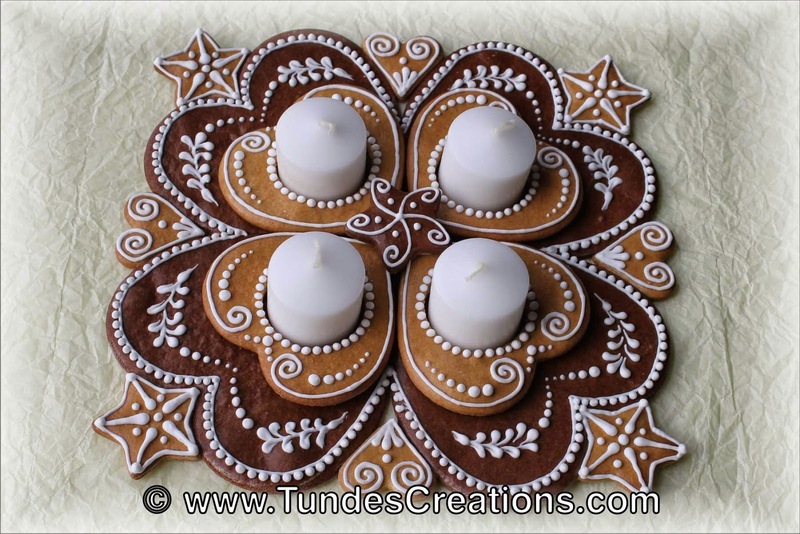 This is a combination of regular gingerbread and chocolate gingerbread. This piece is a little different with the asymmetric design. And an other traditional red and white piece from the last season.